Taiwan’s Acer Inc, the world’s No.2 PC maker, said Microsoft Corp’s Windows 7 operating system launch last month has been positive for year-end PC sales, though the gains were within expectations. Acer’s CEO said it was keeping its quarterly revenue outlook and maintaining a 15 percent sales growth target for next year. The market leader in low-cost netbooks, or stripped-down laptop PCs geared for Web surfing, has said it expected sales in October-December to stay flat from the previous quarter and rise 25 percent from the previous year. No.3 PC maker Dell Inc said it saw a spike in sales thanks to the Windows 7 launch. Hewlett-Packard, the world’s No.1 PC maker and largest supplier of technology products, raised its annual outlook as growth in China helped its quarterly sales. Acer, which expects 50 percent growth in the global netbook market to 42 million units in 2010, reported a quarterly net profit of $108 million last month, up 14 percent from a year earlier. It now hopes to become the No.3 PC maker in both Japan and in China by 2011, up from about what it sees as the fifth or sixth place in both markets. Group policy and Active Directory are very important in any organization with more than a few computers. When I loaded Windows 7 on my work PC one of the first tasks I had to do was install the Group Policy Management client (GPMC) and the AD tools such as Active Directory Users and Computers MMC. The two tools that I need to manage our domain based group policies and AD accounts. Installing the tools is a little more complicated than a typical download and setup so let’s get started. First, you need to download the Remote System Administration Tools (RSAT) for Windows 7 fromMicrosoft Downloads. Make sure you download the correct version for your bit version of Windows 7.
x86fre_GRMRSAT_MSU.msu for the 32-bit version of Windows 7.
amd64fre_GRMRSATX_MSU.msu for the 64-bit version of Windows 7. After you have the file downloaded, double-click on it and click Yes on the Windows Update Standalone Installer screen shown below. Click I Accept on the license screen and the components will now be installed after a few minutes. Once installed, you will need to turn on the features that were just added. The install you downloaded did not install the features on your computer, it just added the features to the local repository of Windows features you can turn on or off. Next, click on the Start Button and type in Turn Windows features on or off and hit Enter. Scroll through the list and locate Remote Server Administration Tools. First let’s install the Group Policy Management Client by expanding Remote Server Administration Tools, Feature Administration Tools and then check Group Policy Management Tools. Now for the Active Directory tools: Under Remote Server Administration Tools expand Role Administration Tools, AD DS and AD LDS Tools, AD DS Tools and check Active Directory Administrative Center and AD DS Snap-ins and Command-line Tools. Finally, click OK and the new features will be installed. Now you can run the Group Policy Management client by clicking on the Start Button and typing in gpmc.msc and then hit Enter. For Active Directory Users and Computers type in dsa.msc and hit Enter. Finland’s Nokia is still the largest mobile handset manufacturer in the world, but its influence in the high-end (and high-profit) smartphone market is increasingly falling short of competitors like RIM and Apple, in part because Nokia can’t seem to capitalize on features and capabilities consumers want in a smartphone. But Nokia is determined to forge ahead in the smartphone marketplace—and the company is placing its best on the Linux-based Maemo mobile OS, rather than the tried-and-true Symbian OS that has powered most of the company’s devices for years. At a gathering in London, Nokia marketing executives told Maeomo developers that Nokia plans to drop Symbian from its high-end N-series Internet-capable mobile devices by 2012. Nokia has been building its high-end devices around the Symbian operating system for more than a decade; however, the company’s new N900 is the first device Nokia has shipped based on Maemo. 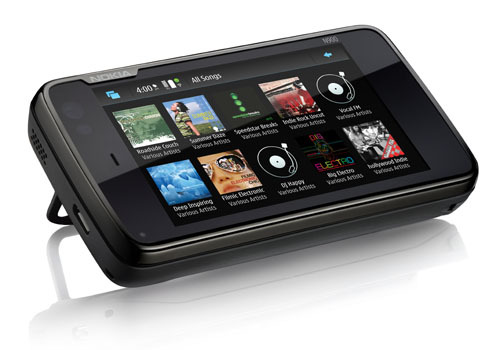 The N900 is largely viewed as a transitional device to help developers (and even a few customers) make the transition from Symbian to Maemo. Although Nokia has not made an official statement, the company apparently will maintain Symbian on its E-series devices (aimed at enterprise customers) and video-centric X-series devices. Nokia is also promising tools to developers so they can create applications for both Symbian and Maemo, which in turn can be sold though Nokia’s Ovi Store. A couple suspected of helping spread some of the Internet’s most aggressive computer viruses has been arrested in the English city of Manchester, police said Wednesday. It is not clear exactly what role the Manchester pair are suspected of playing in the viruses’ spread. Scotland Yard says the two have since been released on bail and declined to elaborate on their investigation. Suspects in Britain are rarely identified unless they’ve been charged. Microsoft is focusing on speedy graphics rendering for its next version of Internet Explorer. Internet Explorer 9 will take advantage of a computer’s graphics hardware to better render online images, videos, animations and other graphics, said Steven Sinofsky, president of Microsoft’s Windows and Windows Live division. “We think that the hardware you run on should shine through the browser,” he said. He was speaking at the Professional Developers Conference in Los Angeles, where he demoed a few features of IE9. In addition to smoother graphics rendering, Sinofsky showed IE9’s support of new HTML/CSS code that creates rounded borders, for example, on text boxes. The Internet Explorer team, which Sinofsky said has been working on IE9 for about three weeks, needs to determine how much of HTML5 — the next major version of the universal markup language — to support. The IE9 prototype already is just as speedy as the other major browsers, he said. By some standards, Internet Explorer 8 performs at least twice slower than Mozilla Firefox, Google Chrome and Apple Safari, according to slides Sinofsky showed to the PDC audience. “We’re getting close to basically being a wash,” he said. Sinofsky didn’t give any estimates for an IE9 launch date. But considering IE8 was released just last March, it could be a while. The Internet Explorer team has historically worked on a two-year launch cycle.